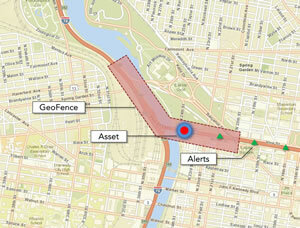 Monitor assets such as a vehicle passing through a defined area in real time with GeoEvent Processor for Server. Welcome to the new frontier of real-time GIS. The next release of ArcGIS in June will bring real-time data processing to mapping applications with ArcGIS GeoEvent Processor for Server, a new ArcGIS for Server extension. "Sensors are everywhere, and the world is becoming more instrumented every day," said Adam Mollenkopf, Esri's product manager for GeoEvent Processor for Server, describing how much potential there is to collect real-time data for analysis and visualization. GeoEvent Processor for Server ingests data that streams in from a variety of sources such as social media platforms, like Twitter and Instagram, and in-vehicle GPS devices. Users can set multiple processes for filtering sensor data to look for specific information contained in the streams, such as speed or elevation, as well as set many concurrent actions to take, such as perform analysis, send alerts to key personnel, update the map, and write to a database. GeoEvent Processor performs these processes and analyses continuously without interrupting the flow of information. This real-time capability transforms GIS applications into frontline apps, helping decision makers respond faster and with remarkable accuracy whenever and wherever change happens. Live maps and metrics are displayed in the Operations Dashboard for ArcGIS. Collect locations, attributes, photographs, and videos using Collector for ArcGIS. 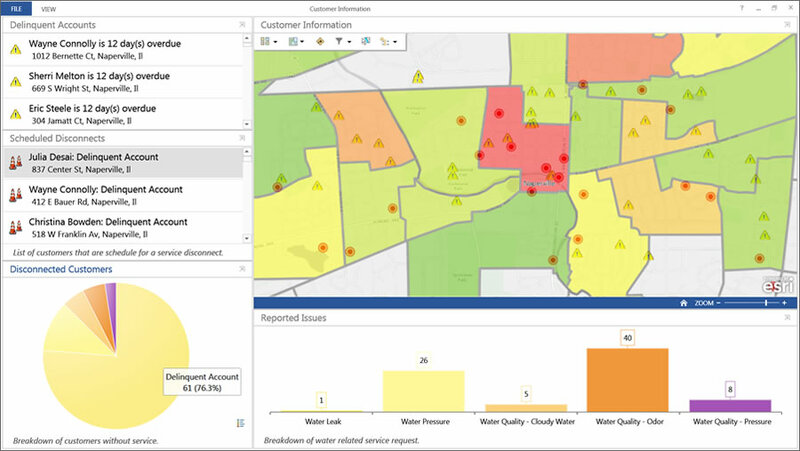 Operations Dashboard for ArcGIS provides a common operating picture for real-time data. It integrates maps and a variety of data sources to create comprehensive operational views that can include charts, lists, gauges, and other performance indicators that update automatically as underlying data changes. Operations Dashboard can be used with GeoEvent Processor to monitor operations or unfolding events such as emergencies or natural disasters. 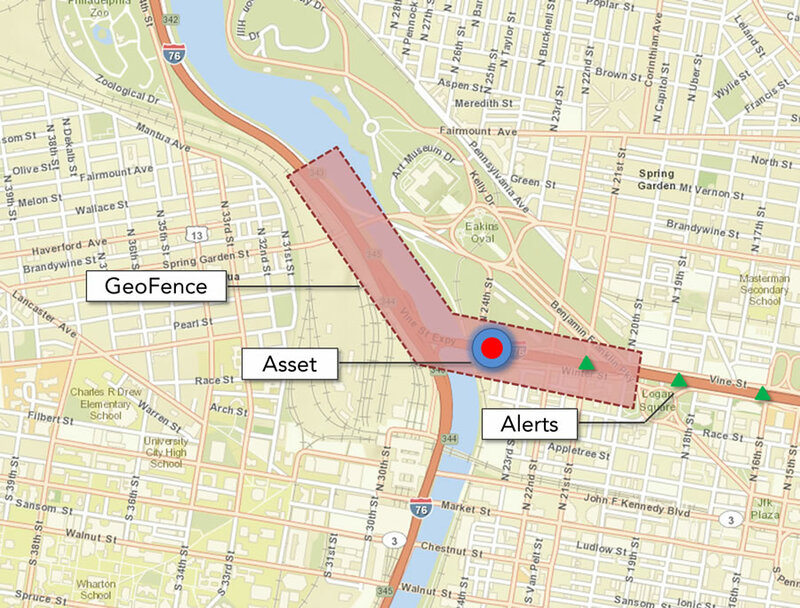 The dashboard can incorporate geofences (geographic boundaries) that interact with events—for example, the user can see alerts when a moving vehicle approaches, passes through, and exits a geofenced area. Dashboard users can generate geofences on the fly, using areas determined by specified drive-time analysis, a simple hand-drawn polygon, or existing map features. Data that's processed and analyzed by GeoEvent Processor for Server can come from various sources, including information collected using the new Collector for ArcGIS, an app for iPhone and Android smartphones that's been designed with field crews in mind. It's used to capture and update both tabular and spatial information, as well as attach photos and video, using the device's built-in GPS and other capabilities. Data captured using Collector can be displayed immediately in Operations Dashboard and ArcGIS Online web maps. 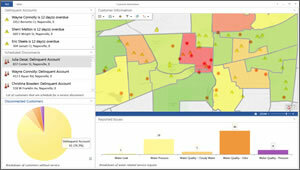 Operations Dashboard for ArcGIS and Collector for ArcGIS are free downloads that require an ArcGIS Online organizational subscription or a free 30-day trial. For more information about GeoEvent Processer for Server, watch this video.